I am sure you have already received a notification from Google for the new Search Console update. 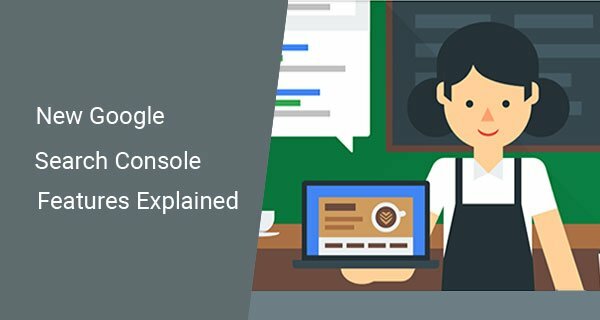 Google has recently revamped the complete user interface of the Search Console. They have added some new features such as search performance, index coverage issues, and amp status. However, it is in beta testing stage and has only a few features right now. This new Search Console update is still in progress and has been released to get you familiarize with the new UI. It will take at least a year when Google will launch this new Search Console completely. So what’s new with this new Google Search Console. Let’s check out these new features; search performance report, index coverage issues, and amp status report. This new version search performance report, we have the same old tabs as impressions, clicks, CTR and Avg. search positions. However, the new thing about this search performance report is that you can view data from past 16 months instead of 3 months. This new change will help a lot of webmasters to understand their search performance when they have past 16 months of search performance data. One more thing that is a newly added feature, you can now search specific keywords and see your website performance and average position without going through thousands of keywords. In my opinion, it is one of the great features and can help a lot to easily check the performance of an individual keyword. I like this new UI, it is improved and user-friendly. Even browsing in a few days, I feel quite familiar with this new Search Console. However, since it is still a beta release at the moment, we cannot completely rely on that data. In the future, we hope to see a big improvement and more features. This new feature can help any website find indexing issues such as 404 errors, redirects and more. It will be a useful data to understand how Google is actually indexing your website pages, which pages are not indexed, etc… It will help a lot to find issues such as improper redirects, unexpected 404 errors, and pages that are not indexed. Upon fixing those errors, you can submit those pages for validation. Google will crawl and index those pages. Amp status report is the new feature for publishers who are using Amp. what I gather, this report can help you fix errors which stops your pages appear in searches with amp features. Amp status will report errors and warnings which are affecting your amp related pages. You can fix those errors by following the instructions given by GSC. When fixed those errors, you can validate those pages. It will take some days to get those pages validated. If Google won’t find any issues your amp pages will index and errors will be gone. Using new Search Console can be important for your business. If you have an old website then you can learn a lot about your website current indexing issues and keyword rankings. However, at this point, you cannot switch to new Search Console and forget the old one. Maybe someday when Google will officially launch this product in its full glory. I hope you find this post useful. If you are looking to improve your SEO, then you can check out my on page SEO services and get a quote.